Festive seasons are the perfect excuse to indulge and pop open the bubbly… after all, it’s the most wonderful time of the year to celebrate with family, friends and loved ones. 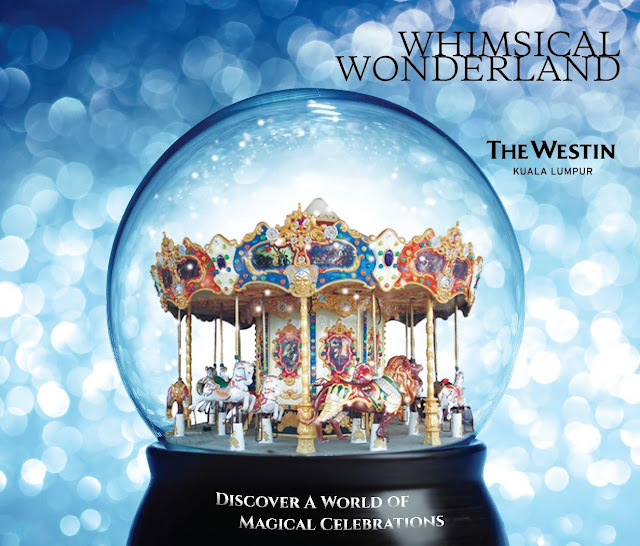 This festive month, The Westin Kuala Lumpur is offering lots of festive deliciousness with an array of different feast from different cuisines in all their restaurants. Whether one choose to dine Italian, Chinese, Latin or a little of everything, there’s something scrumptious happening at all the hotel’s restaurants in December. We visited Prego, the hotel’s Italian restaurant famed for their Sunday Bubbalicious Brunch to check out what this Christmas and New Year has to offer. Prego is a multi-award winning ‘Ristorante Italiano’ where the artistic flavours of Italy come to life. The multi-level restaurant has an open live kitchen set with an inside and outside dining area. The earthy and warm themed interiors are brighten up by the spots of colors from the various hanging lights. Italian Chef Vincenzo Sirna and team has set a flamboyant spread of Italian delicacies to satisfy even the most discerning Italian diner. The plethora of Italian spread with over 100 items atop the buffet spread includes elaborated Christmas dishes, gorgeous pasta, festive wood-fired pizzas and heart-warming desserts. It’s a true Italian festive extravaganza that will have you say ‘Mamma Mia’! If you opt for the free flow Moët & Chandon Champagne, you will definitely be having a bubby good time with the premium champagne and the Italian feast! Do start the feast the Italian way with a large spread of Antipasto. Chef Vincenzo has gone all out and whip up a list of scrumptious antipasto of Squid Ink Arancini witch Crab Sauce, Quiche with Italian Lamb Sausage and Radicchio Trevisano, Vine Ripened Tomato and Buffalo Mozzarella Salad with Basil Pesto Emulsion, Black Angus Beef Carpaccio, Smoked Duck with Lentils, Seared Albacore Tuna with Borlotti Beans and Italian Parsley Sauce, Green Asparagus with Black Truffle and Parmigiano Reggiano Crackling, Italian Christmas Salad and more. Don’t miss the Squid Ink Arancini with Crab Sauce and Quiche with Italian Lamb Sausage and Radicchio Trevisano. Looking unconventional but is absolutely delicious, the Squid Ink Arancini with Crab Sauce has such robust and rich flavours. The Italian Torta of Quiche with Italian Lamb Sausage and Radicchio Trevisano has flaky and buttery pastry with a savory and moreish filling. From the Seafood on Ice, diners will feast on Live Pacific Oysters, Tiger Prawns, Flower Crab and Blue Mussel served with condiments of Orange Cocktail Sauce, Lemon Aioli, Shallot Mignonette Tabasco and fresh lemon. There are also the Charcuterie of Beef Pepperoni, Turkey Salami, Beef Salami, Beef Bresaola and Traditional Pâté en Croûte. Enticing pasta lovers are a list of Chef Vincenzo’s signatures of Black Ink Spaghetti with Baby Octopus Ragout, Homemade Chicken Ravioli with Cacio & Pepe Sauce, Orecchiette alla Campidanese (Orecchiette Pasta with Lamb Sausage, Saffron and Wild Fennel Seeds) together with Risotto with Prawns and Caviar and Prego’s Signature Risotto with Wild Mushrooms served by chef at table side. Fresh hot gourmet pizzas from Prego’s wood oven will please diners of all ages from its list of Margherita, Boscaiola, Diavola, Sondrio and more. Must-tries are Sondrio with its tempting list of Beef Bresaola, Tomato, Taleggio Cheese and Caramelizzed Onions while Boscaiola is perfect for vegetarian with lots of assorted Mushrooms, Tomato and Cheese. Main hightlights of the festive buffet would have to be the Slow Roasted Christmas Prego’s Signature Truffle Chicken with Truffle and Chestnut Stuffing, Cranberry Compote and Giblet Gravy and the Wood Fired Whole Roasted Lamb with Rosemary Jus. From the spit roast and charcoal grill, there’s plenty of tempting Lamb Sausage, Italian Spiced Chicken Sausage, Beef Sirloin Steak and Mediterranean Seafood Skewer served with plenty of side dishes and sauces. Be bubbly all the way and continue the celebration for 2016 new year countdown with special price on Champagne and Ala Carte items after 11.00pm. those pizza & oysters look absolutely inviting!